Social Entropy (Ripe) Creator of the Quicksilver 303/606 CPU’s is showing his new 8-track prototype sequencer at NAMM this year called the Engine. 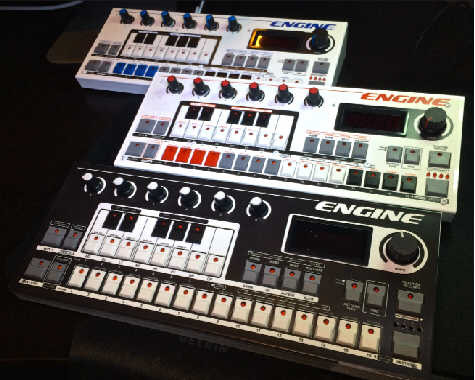 It has a raft of features similar to the TB-303 and TR-606 QS CPU’s, and also a lot of other new features like skip (only seen on analog sequencers) and many more. There is also USB, and CV/Gate add-on too. Forum: Social Entropy Engine Sequencer !